TriMet has hired Michael Shin to join the agency’s litigation team as Deputy General Counsel. During his 13-year legal career, Shin has worked in all aspects of litigation in both state and federal courts. 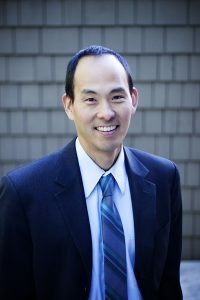 Shin most recently worked at the Oregon Department of Justice as a Senior Assistant Attorney General in the Appellate Division. Prior to that, he focused on complex commercial litigation at Dechert LLP in Boston, worked on enforcement actions for the Massachusetts Attorney General’s Office, and served as both an Assistant U.S. Attorney and an Assistant Public Defender in Montana. “Michael brings a great deal of experience to our agency and will be a terrific addition to the team,” said TriMet General Counsel Shelley Devine. Shin earned his bachelor’s degree from Yale University and his law degree from the University of California, Berkeley. He lives in the Sellwood-Moreland neighborhood with his family and enjoys cooking, traveling, and exploring the Portland food scene, and is a lifelong Cleveland sports fan.